On 30 June 2016 the UKSC heard an appeal from AIG Europe Insurance Ltd against the Court of Appeal’s decision in Impact Funding Support Solutions Limited v Barrington Support Services Limited and AIG Europe Insurance Ltd  EWCA Civ 31. The court has been asked to consider the proper approach to interpreting the “debts and trading liabilities” exclusion within the Minimum Terms of the Solicitors Indemnity Rules. A firm of solicitors specialising in personal injury claims, Barrington Support Services Limited, had entered into a contractual relationship with a specialist funder, Impact Funding Support Solutions Limited for Impact to cover disbursement costs for Barrington’s PI clients. Impact made loans to cover the upfront costs of a Barrington client obtaining initial expert advice such as medical reports. If the claim was successful, those upfront costs could then be reclaimed – and the loan would be repaid. Alternatively the client may have Legal Expenses Insurance (LEI) or After The Event Insurance (ATE). However, Barrington was negligent in the assessments, which meant that loan monies were spent on unmeritorious claims. Barrington also used Impact’s funds for expenses which were not genuine client disbursements. As such, significant sums were either wasted on fruitless claims and/or could not be claimed back from the LEI/ATE insurers. Barrington had breached its contract with Impact and Impact obtained a judgment for the sum of £581,353.80 in respect of the loan monies lost. Barrington went into liquidation. Impact pursued Barrington’s professional indemnity insurer AIG instead by relying on the provisions of the Third Parties (Rights Against Insurers) Act 1930 because it was unable to enforce the judgment against Barrington. Broadly-speaking, this Act allows for a third party (Impact) to enforce its rights against an insurer (AIG) where the insured party (Barrington) becomes bankrupt. However, AIG argued that it was not liable to indemnify Barrington since the terms of its professional indemnity insurance policy with Barrington, which was subject to the SRA’s Minimum Terms and Conditions for Professional Indemnity Insurance, would not cover the loan monies from Impact. The SRA’s Minimum Terms and Conditions provide that some types of ‘Debts and Trading Liabilities’ can be excluded from the scope of cover provided to solicitors by professional indemnity insurers. More specifically, clause 6 of the Minimum Terms says “The insurance must not exclude or limit the liability of the insurer except to the extent that any claim or related Defence Costs arise from the matters set out in this clause 6”, including at clause 6.6 of the Minimum Terms: “Any (a) trading or personal debt of any insured, or (b) breach by any insured of the terms of any contract or arrangement for the supply to, or use by, any insured of goods or services in the course of the Insured Firm’s Practice…”. AIG sought to categorise the loans from Impact as falling within the exclusion described in clause 6.6(b) of the Minimum Terms. In the High Court, Judge Waksman QC found in favour of AIG. He held that AIG could rely on the exclusion in the Minimum Terms, since Impact was providing a ‘service’ to Barrington in issuing the loans to cover the disbursements as part of Barrington’s practice. Barrington’s liability to repay the disbursements to Impact arose from Barrington’s breach of the contract for this service and as a consequence was held to fall within the exclusion as described in clause 6.6(b) of the Minimum Terms. In the Court of Appeal Longmore LJ held that “the essential purpose of the exclusion is to prevent insurers from being liable for what one might call liabilities of a solicitor in respect of those aspects of his practice which affect him or her personally as opposed to liabilities arising from his professional obligations to his or her clients”. 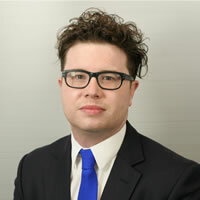 To illustrate the point, LJ Longmore described a photocopier supplier or cleaning company as examples of personal services that a professional indemnity insurer would not have to cover under 6.6(b) of the Minimum Terms. The object of professional indemnity insurance is to cover obligations incurred in connection with the solicitor’s duty to his clients, and in this case the whole point to the arrangement between Barrington and Impact – being to cover client disbursements – was held to fall within the realm of those professional obligations. The Court of Appeal held that AIG could not rely on the clause 6.6(b) of the Minimum Terms exclusion and overturned the High Court judgment in favour of Impact. On 30 June 2016, the panel of five judges comprising Lord Mance, Lord Sumption, Lord Carnwath, Lord Toulson, Lord Hodge was asked to determine the scope of the “debts and trading liabilities” exclusion contained in clause 6.6 of the Minimum Terms. This sort of case has arisen in part because of the withdrawal of legal aid for personal injury claims and the subsequent growth of alternative arrangements, such as Conditional Fee Arrangements and After The Event Insurance. It is hoped that the UKSC will provide clarity on where responsibility should ultimately lie if problems crop up between solicitors and their professional indemnity insurers again. A full case comment on the decision will be provided on this blog once judgment has been handed down. Leave a reply on "Case Preview: Impact Funding Solutions Limited v AIG Europe Insurance Ltd (formerly known as Chartis Insurance (UK) Ltd)"